Zong Z1 Price in Pakistan: Zong z1 is giving you the FREE Power Bank with 6000 (mAh) Battery reinforcement alongside Free Bundle worth Rs. 4800/ – and Free Home Delivery Service. Zong Z1 Price in Pakistan is Rs. 9,999 but before to buy you can read full Specifications and its Features. 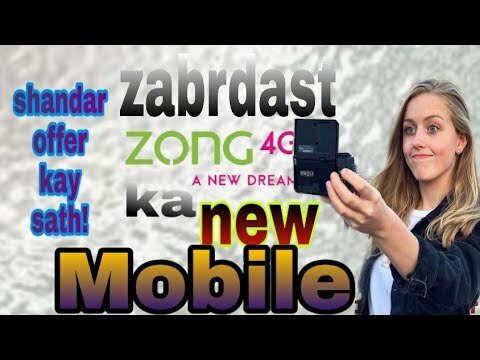 Zong Z1 launch date in Pakistan is December 2018. In this way, for Zong Z1 details and highlights, we might want to share some data here. All updated Pros and cons are elaborated on pricealert.pk. Dhamaka Offer-Zong Z1. Other than that, Zong Z1 Smartphone comes pack with an 8MP AF Rear just as 5MP Front Camera. You can buy online in Pakistan easily from here. Consequently, the gadget additionally has 2GB RAM alongside 16GB ROM, 2000 mAh battery and is available Other than that, it likewise has a 1-year official guarantee. Share Zong Z1 Price in Pakistan with your friends and family, the mobile is available here. You can buy from different stores online in Pakistan. Performance good with no lags. No heat when play games. Lacks Gorilla glass protection for its screen. It’s better for use but why other sims have not 3g.